Monday 23rd January 2012 kicks off the Chinese Year of the Dragon, so I checked this out with old Mr Chan from my excellent local Chinese takeaway, and according to ancient Eastern wisdom, this year the capital will be all aflame with passion and abundant energy. As I’d just ordered my favourite hot dish of sizzling King Prawns with Chilli and Garlic sauce, I thought I was definitely on to a good start! London has the biggest Chinese New Year celebrations outside of Asia, and no less a dignitary than Boris Johnson, the Mayor of London is really up for it – “With the Year of the Dragon’s themes of passion, ambition and success, I can think of no better way to help kick off a year of amazing highlights,” he said. On January 29th there’s a huge celebration in Trafalgar Square, with traditional Chinese dragon and lion dances, acrobats, ethnic songs and music. Firecrackers and a dazzling light show will form an exciting backdrop to a parade of floats bearing mythical creatures like dragons and goddesses. 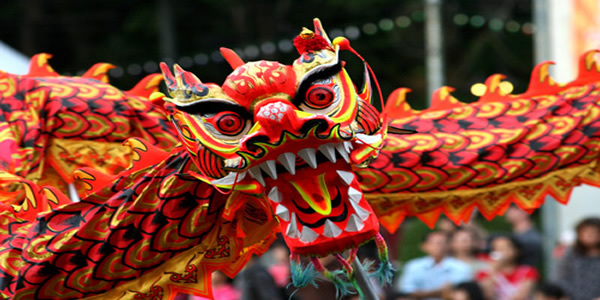 Chinatown and also Leicester Square will hold celebrations, with Chinese performance artists and food stalls, and in Shaftsbury Avenue a stage will be erected for local Chinese artists to dress up as iconic Chinese symbols and well, all shapes and sizes of dragons! I looked up my own Chinese birth year, and it seems I was born in the Year of the Horse. Some of them can certainly gallop along at a fair pace, but I don’t know if I’d put myself in the ‘thoroughbred racehorse’ category, as I like to take life more easily. In fact, the horsepower of Mercedes S class is much more to my taste than the use of my own legs. If anyone wants a lift in luxury and comfort to these events, or to a restaurant all decked up for a Chinese New Year banquet, then please let us know! To start off the Chinese New Year in style, you can’t do better than choose your very own London chauffeur from Mercedes Chauffeur Hire.